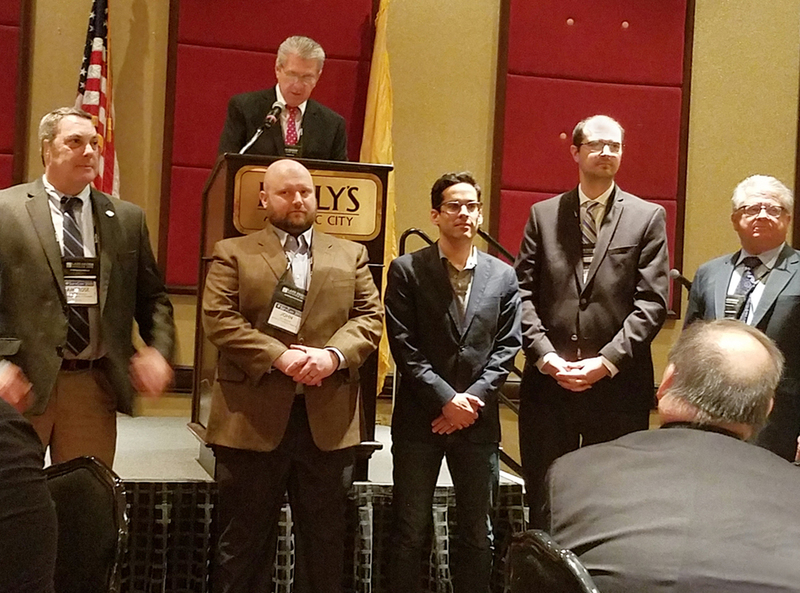 SurvCon 2018 – Atlantic City, DPK Consulting’s James Heiser (standing 2nd from the right) was sworn in as Director-at-Large of the New Jersey Society of Professional Land Surveyors (NJSPLS). Mr. Heiser has been an active member of the NJSPLS for over 10 years. As a student recipient of a NJSPLS Scholarship award, Mr. Heiser’s commitment to the organization has been steadfast. “The scholarship was very helpful to me as a student at NJIT and I will always be grateful for that”, states Mr. Heiser. The best way I can pay it forward is to work hand-in-hand with my NJSPLS colleagues to ensure students learn about the emerging opportunities the professional surveying industry offers. The entire geospatial arena is evolving with new applications and surveying technologies such as 3D Scanning and aerial drone mapping, continues Mr. Heiser. These technologies, and what they make possible, is why our industry will be attractive for the next generation of land surveyors. It is incumbent on us to work with leaders of educational institutions to expand curriculum and expose more young people to our industry”, concludes Mr. Heiser. In addition to his newly appointed position as Director-at-Large, Mr. Heiser is also the President of the Legislative Committee and member of the Strategic Planning and Executive Committee. © Copyright 2016 DPK Consulting, LLC. All Rights Reserved.